Explanation: Why would Venus appear oval? Venus has been seen countless times from the surface of the Earth, and every time the Earth's atmosphere has dispersed its light to some degree. 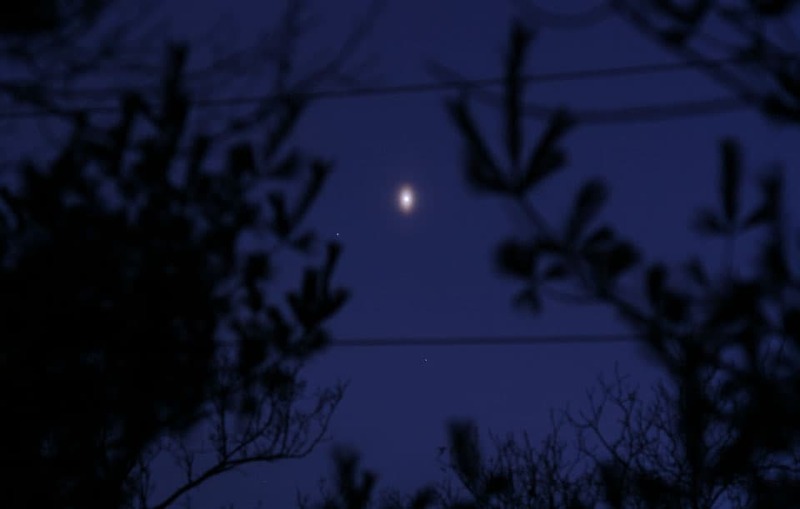 When the air has just the right amount of dust or water droplets, small but distant objects like Venus appear spread out into an angularly large aureole. Aureoles are not unusual to see and are frequently noted as circular coronas around the Sun or Moon. Recently, however, aureoles have been imaged that are not circular but distinctly oval. The above oval Venusian aureole was imaged by the astrophotographer who first noted the unusual phenomenon three years ago. Initially disputed, the unusual distortion has now been confirmed multiple times by several different astrophotographers. What causes the ellipticity is currently unknown, and although several hypotheses hold that horizontally oriented ice crystals are responsible, significant discussions about it are still taking place.